The University of Akron FSAE team has just completed the first of two Formula Student competitions in Europe. At Formula Student Austria, the University of Akron FSAE team placed 5th overall and 1st in fuel efficiency. This event marks the first time that the U of A team has completed an endurance event in the last 4 years. 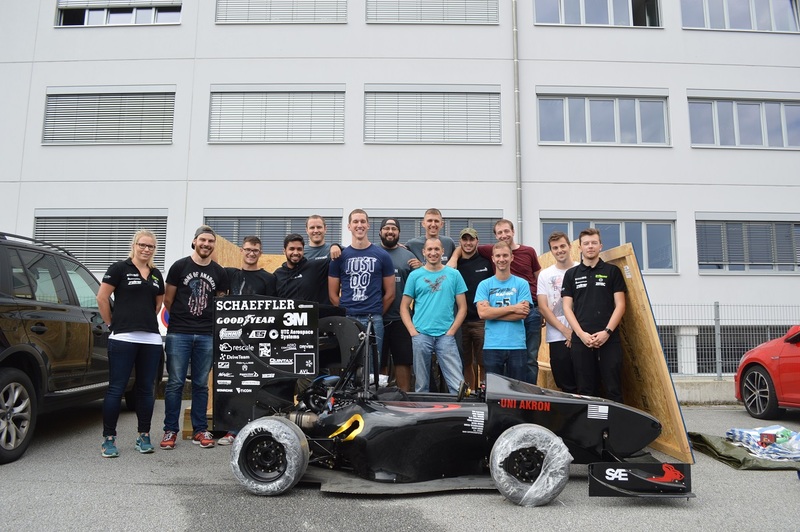 SES congratulates the University of Akron on their accomplishment and wishes them luck with their next competition at Formula Student Germany. UPDATE: The University of Akron FSAE Team completed their competitions in Austria and Germany last month and the results are in. The University of Akron FSAE team placed 5th overall in Formula Student Austria and 8th overall in Formula Student Germany. Out of the 540 World Ranked Teams, The University of Akron FSAE team has placed 98th overall at Formula Student Austria. Congratulations to The University of Akron FSAE team! We can’t wait to see what you can do next year!